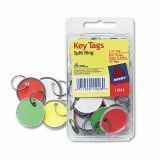 Avery Key Tags with Split Ring, 1 1/4 dia, Assorted Colors, 50/Pack - Key tags are ideal for housekeepers, hotel clerks, janitors and realtors. 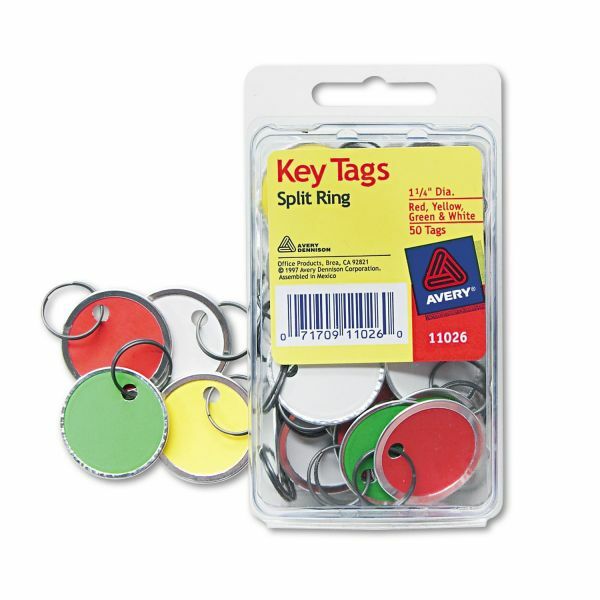 Each 1-1/4 round tag features a split ring that slides easily onto your key for fast, convenient organization. A metal rim around the round tag aids in stability and durability for frequent handling. 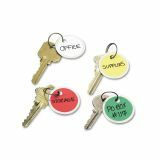 Inscribe your notes on the background for a clear, easily readable method of quick identification of each key's purpose."